In this tutorial, we’re going to be exploring how to use youtube-dl to down load a full YouTube playlist content, with one simple command from your terminal console. The package, youtube-dl is a very simple, very lightweight and extremely powerful command-line tool to download video and audio from YouTube. The youtube-dl package is in the repository. It can also be downloaded by using a third party PPA, (not recommended), or directly from youtube-dl using the non-interactive network downloader package, wget. One of the things that must be noted with youtube-dl. Google updates their anti-download security system quite often. To counter this, the devs at youtube-dl continuously update youtube-dl. They do this much more frequently than the devs maintaining the Ubuntu repos. If you’ve installed youtube-dl from the repos, you’ll quite often find it won’t work until the next Ubuntu update. To get around this, I recommend downloading youtube-dl directly and updating it manually each time you use it. The choice is your. Instructions for both methods will be available. I won’t be covering the installation by 3rd party PPA in this tutorial. If you're new to Linux, or are hesitant to use the terminal. This tutorial should make you want to explore terminal usage further. 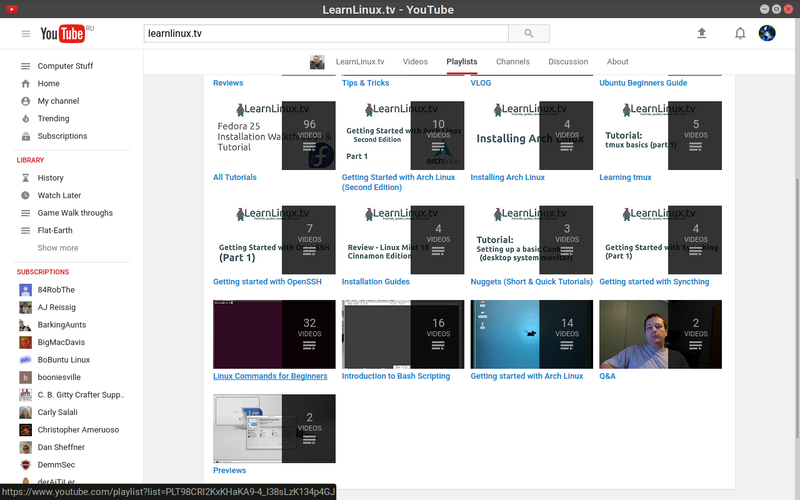 This tutorial is a quite long. It's not because it's difficult. It's because it's quited detailed. Okay, let's get to it and have some youtube-dl and terminal fun . Tip: Linux is case sensitive. To reduce the possibility of typographical errors, please left click the Code: [Select] function to highlight the line of code. This is located above the command on the far left side. Use the right mouse button and select: Copy from the menu. With your mouse cursor inside the active terminal window. Paste the contents by clicking the right mouse button and selecting: Paste from the menu. For Chromium Browser and Google Chrome users. There is no need to copy, just highlight the code with the Code: [Select] function. With your mouse cursor inside the active terminal window, simply click on the centre mouse button/wheel to paste the contents . Note: For enhanced security, passwords are entered invisibly. There’s NO indication of any user input. By default "sudo" doesn't echo ANYTHING to screen (not even ******). This way, anyone looking over your shoulder doesn't even get to see the length of your password. You may enter an incorrect password 3 times before you have to repeat the command you’re trying to execute. Hit enter/return, enter your user password if asked and follow the onscreen instruction. Congratulations, you’ve successfully installed youtube-dl to your computer . 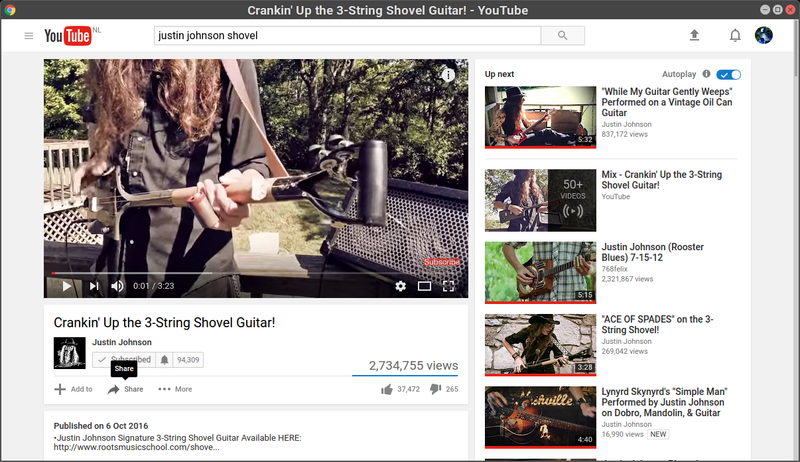 Note: youtube-dl is a command-line tool, it’ll not show in the menu structure. If you’re already familiar with youtube-dl, you can skip this part of the tutorial. However, you may still find it useful as a refresher . Hit Enter/Return and enter you password if asked. YouTube-dl will update to the newest version and then download the video at the highest quality by default. Once that has completed, you may watch the video with your favourite video player. As you can see youtube-dl is very cool and very easy to use. It does a whole lot more than just downloading one video at a time though. Say you want to download and save a whole playlist in one go. YouTube-dl can easily do this. 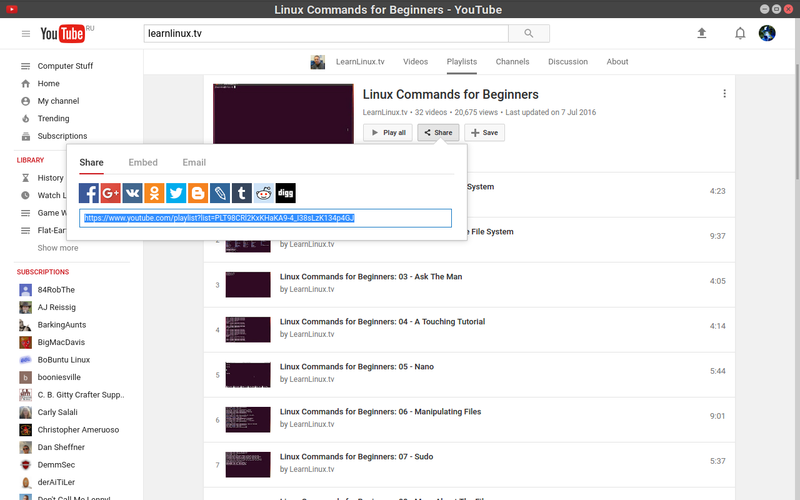 The subject download for this tutorial, is a playlist of 32 short videos entitled, Linux Commands for Beginners. 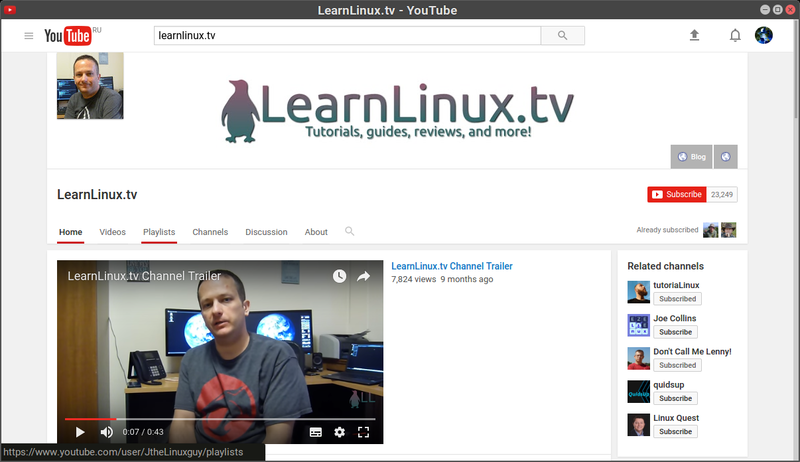 For this tutorial, we're going to use a YouTube channel called: LearnLinux.TV. Find the playlist entitled: Linux Commands For Beginners. Left click on this and new window will open up. We're going to add the output switches -c, -i and -t, or just -cit, (note: -t is no longer an option in the --help page. The -o is the equivalant modifier switch. It doesn't appear to work though. The -t modifier switch does still work). Adding these output switches is really cool . Below is information about these switches. The -c, or --continue modifier switch, "Force resume of partially downloaded files. By default, youtube-dl will resume downloads if possible." This means if you stop the download for whatever reason. It'll resume from where it left off when restarted. That's very useful . The -i, or--ignore-errors modifier switch, "Continue on download errors, for example to skip unavailable videos in a playlist." This means if errors are encountered in any of the video files being downloaded, youtube-dl will move to the next one in the list. This can save a lot of time . The -t, or --title modifier switch, "use title in file name." This means downloaded file will have the name of the title of the video included in the file name. Without it, youtube-dl generates a random file name that makes no sense to humans. This is very useful when you're cataloging your downloads. When using this switch you'll see this warning: "WARNING: --title is deprecated. Use -o "%(title)s-%(id)s.%(ext)s" instead." The -o switch doesn't seem to work. The -o, or --output modifier, "Output filename template, see the "OUTPUT TEMPLATE" for all the info". I can't get this to work. If anyone can, please let me know and I'll include it in this tutorial..
Run the command provided above. For a test, wait a minute and cancel it with the keystrokes: Ctrl +c. Rerun the same youtube-dl command again. It'll pickup from where it left off. Check the downloading files in the Nemo file manager and you'll see all the video titles are included in the file names. Once the downloads have completed, you'll be able to view the whole playlist or the videos individually with your favourite video player . 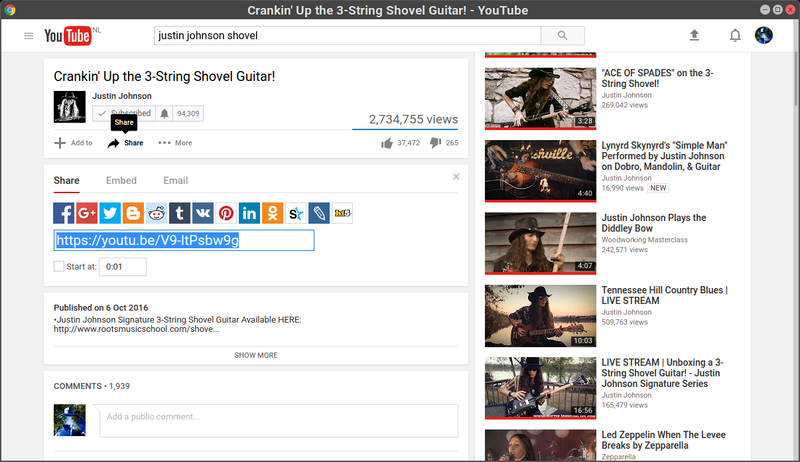 That's how to download a full YouTube playlist using youtube-dl. Be sure to experiment with the different switches. There are lots of different youtube-dl tutorials online exploring the different functions of this powerful little package. I hope you found this tutorial both interesting and useful - have fun . You do realise there's a GUI front end for youtube-dl called youtube-dlg ?